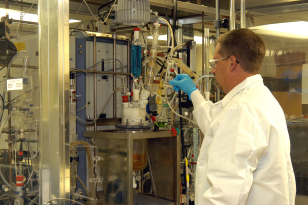 FutureFuel is a major supplier of custom and fine chemicals. As our chemicals business maintains focus on specialty products and invests in new capabilities, we continue to develop new processes and products and use our emerging and historical technologies to manufacture custom products for our customers. Utilizing our existing technologies and production capabilities in conjunction with our top of the line staff of researchers, engineers and technologists, we provide services not offered by many other custom and fine chemical providers. Providing high quality products in quantities from grams to railcars is FutureFuel’s heritage. 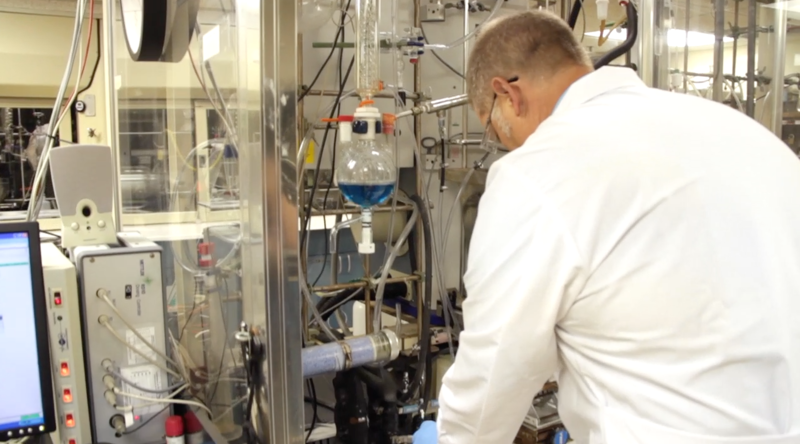 With more than 30 years of batch manufacturing experience, FutureFuel’s Custom Manufacturing business offers expertise in developing and manufacturing organic chemicals while focusing on providing top-flight service to our customers. We routinely scale-up processes from the laboratory to commercial manufacturing including both batch-wise and continuous processing. If smaller quantities are needed for market development, we can provide material to support your product growth at each stage of market development. Whether your immediate need is a unique business solution, process scale-up, or an extension of your manufacturing line, FutureFuel is ready to discuss how we can serve you with both fine and custom chemical manufacturing capabilities. FutureFuel has an extensive team of analytical chemists with state-of-the-art instrumentation supported by FutureFuel’s Analytical Group, keeping us in the forefront of analytical technology. Experience with Most of the Common Transformations in Organic Chemistry. FutureFuel is located on a 2,200-acre site along the White River near Batesville, AR. Since beginning operations in early 1977 as a producer of photographic intermediates, FutureFuel has grown to become a world-class supplier of custom and specialty organic chemicals. Today, chemical intermediates produced by FutureFuel are used in manufacturing such diverse products as color film and photographic paper, paints and coatings, plastics and bottle polymers, medical supplies, prescription medicines, food supplements, household detergents, and agricultural products. FutureFuel has a proven track record of product development and scale-up. Our wide-ranging capabilities allow us to support your product from the laboratory, through market development, and finally into full-scale commercial requirements. Dedicated laboratories, staffed with highly experienced Ph.D. chemists, support research and process development and can supply samples for customer qualifications. When necessary, the appropriate laboratory and technical resources are available to tackle development needs for complex custom projects. As requirements for market development levels or product qualifications increase, our small-scale manufacturing capabilities provide reliable manufacturing resources. Our facilities are designed to support product scale-up as well as small-scale manufacturing for lower initial volumes of products. As your market demand grows, FutureFuel uses industry leading practices for process scale-up. We also provide manufacturing assistance when your market demand outgrows your existing capacities – or if you want to free up your existing plant for other projects. FutureFuel is a reliable, high-quality, competitive supplier, able to meet your requirements for 10 or 100,000 tons. If your market is developed and you need the flexibility of a general-purpose facility combined with the low operating cost of a dedicated facility, FutureFuel has the capability to build custom designed plants or to retrofit existing facilities with the cost benefit of utilizing shared infrastructure. When market demand necessitates the need for a stand-alone, custom-designed plant, FutureFuel has the available infrastructure and expertise to meet your specific requirements.